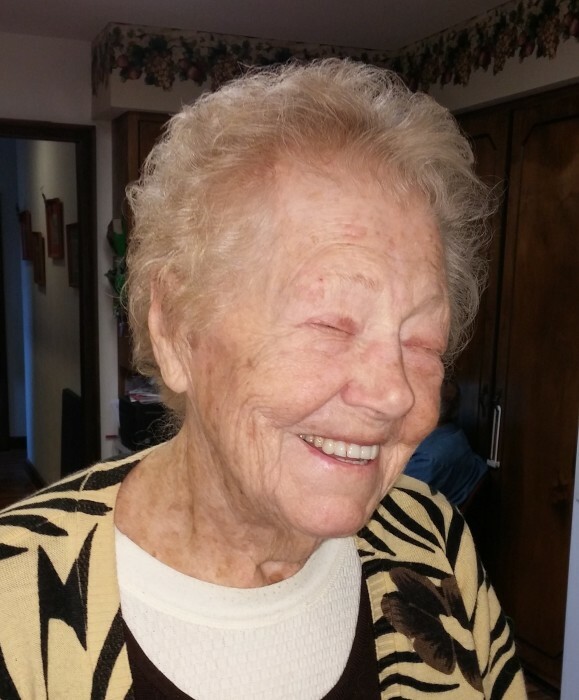 Mabel Zenith Caldwell, age 93 of Bradford, passed away Friday, March 29, 2019 at the Hospice Unit at Upper Valley Medical Center, Troy. Mabel was born in Rowan County, KY on June 23, 1925 to the (late) Trubie & Melva (Scaggs) Jones; previously worked for K’s Hamburger Shop, Troy and retired with 13 years of service from BF Goodrich, Troy; an avid reader and sewer; collected dolls and made soft sculptured dolls; bowled, golfed and played softball; and enjoyed her grandkids and great-grandkids. Preceded in death by her parents; daughter, Pamela Woolery; brother, Raymond Jones; and four sisters, Vivian Meggs, Maxine Vorpe, Nadine Potts, & Virginia Black. Mabel is survived by her husband of 45 years, Ralph G. “Jerry” Caldwell; son and daughter-in-law, Charles & Pam Smith of Troy; two daughters and son-in-law, Patsy & Tom Muter of Indian Lake, Penny Smith of Bradford; son-in-law, Jerome Maynard of GA; grandchildren, Holly & Paul Ricci, Dan Long & fiancée, Gina, Rhonda & Alan Knoop, Mollie & Jason Richeson, Siobhan & Drew Durand, Todd Woolery, Roxanna Woolery, Jessiah Woolery, Ebony Woolery; 16 great-grandchildren; nine great-great-grandchildren; sister and brother-in-law, Dorothy & Gene Campbell of Dayton; many nieces, nephew, other relatives and friends. Funeral service 1:00 PM Wednesday at Bridges-Stocker-Fraley Funeral Home, Covington with Chaplain Ed Ellis officiating. Visitation 11:00 AM Wednesday until time of service. In lieu of flowers, contributions may be made to Ohio Hospice of Miami County. Condolences may be left for the family at www.stockerfraley.com.